The smell of Dove soap can evoke memories of my maternal grandmother, even though she died fifty years ago when I was in first grade. When I see a red rose bush, I think of her garden, and the taste of rainbow sherbet reminds me of her gentle kindness. Two of her former possessions grace my display shelves, and those two beautiful pieces of pottery evoke not just Grandmother (known to her friends by her unusual name of Matybel), but, because they were made by one of her friends, they also remind me of her connections to her community. I have a passion–which I probably developed during early visits to Grandmother’s home–for handmade pottery, for its earthiness and colorful glazes. Even more, I treasure the idea that I am connected through handmade pieces to artisans, in this case to Miss Gladys, who I believe was born in 1900 and died three years after my grandmother. Miss Gladys’ own grandchildren (they called her “Mama Gladys” and her husband “Papa Frank”) were schoolmates of mine and of my siblings, and I recall her as a gracious presence at many of the small community gatherings of my young childhood. Her family is part of my group of lifelong friends. There are myriad connections, the kind which occur in small Texas hill country towns such as the one where my grandmother lived and where I grew up. I love thinking of Miss Gladys and her family and of my grandmother and her generosity when I daily notice these items fashioned by hand from the earth itself. 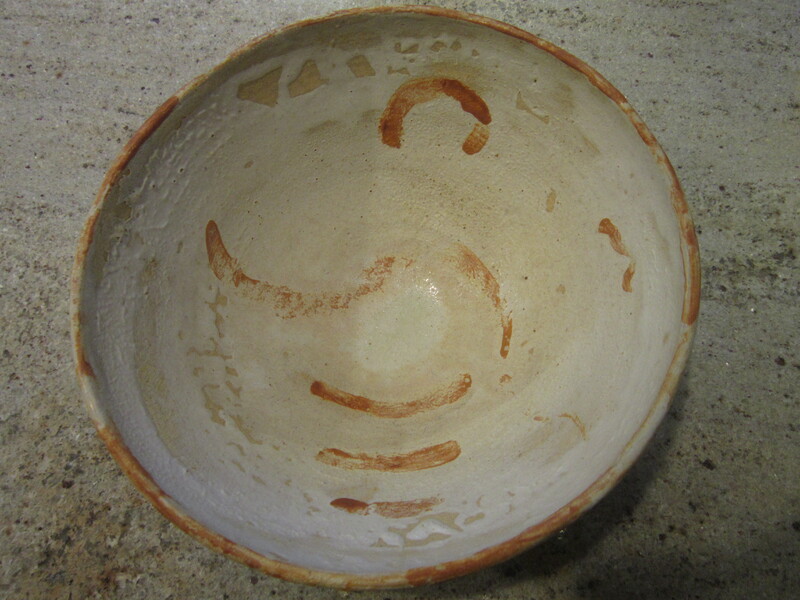 My favorite pottery bowl, the one which looks especially beautiful with lots of brightly colored chopped veggies mixed in with salad greens, was made more than thirty years ago by Roger Garrison, a neighbor of the Jones family for many years. The father of a high school friend of mine, he had married into an important hill country pioneer family. His mother-in-law, Mrs. Bob Davis (nee Annie Auld), sat in the same spot of the same pew during Sunday morning services at the Baptist Church for the first twenty years of my life. 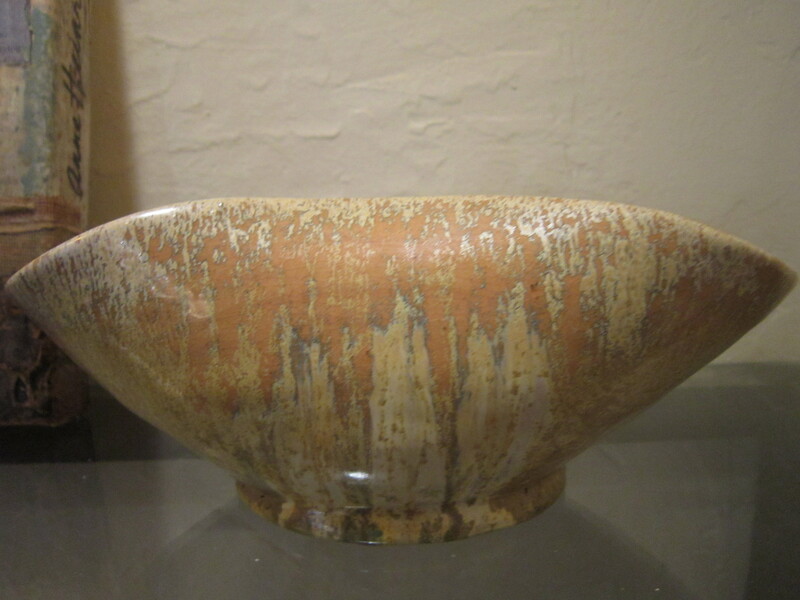 A World War II veteran, Roger became a potter after a distinguished career with the U. S. Air Force and was a kind and humorous man with a lively intellect. His wife, Lora Bea, has shared stories and history and wisdom and warmth as a natural part of her character for as long as I have known her. 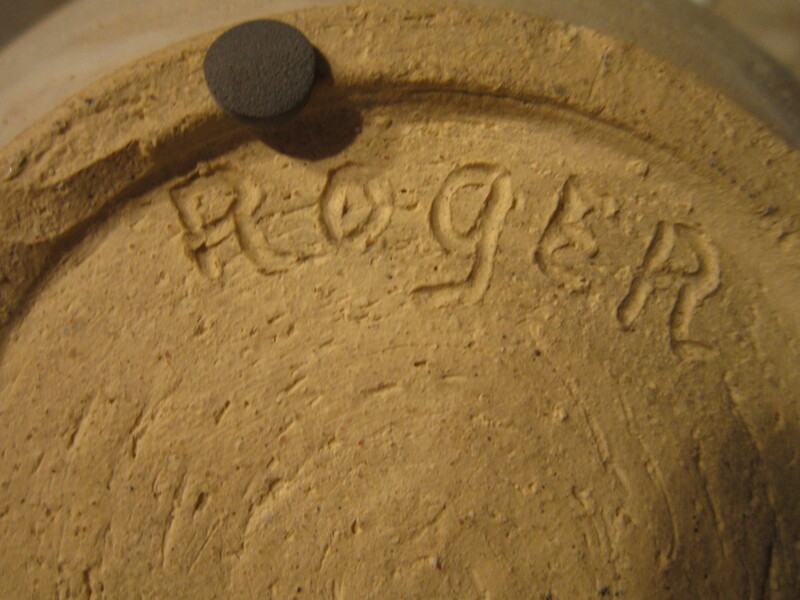 I feel privileged to honor the love Roger had for all humanity by sharing food with friends–that everyday type of communion–served in the bowl made by his hands. What sensory details evoke memories for you? Describe them. What handmade items have particular meaning to you? Who made them and what feelings do they evoke? This entry was posted in awareness, creativity, happiness, human stories, life lessons, Texas hill country. Bookmark the permalink. I would say we all are like that. Your beautiful sentence reminds me of the Biblical scriptures referring to the potter and clay. Oh Chris, your words & photos touched me so! Sniff!! Wonderful that we are all touched & connected thru memories like this! Thanks for sharing what’s on your mind in such a beautiful way!! I miss my father so much, it makes me feel good to know he has touched others lives & he is remembered so fondly by others! Glad you have one of his Pots!! Beautifully said. I too have pieces from Mama Gladys, Leila Leighton, and Roger. Those are some of my most treasured possessions! 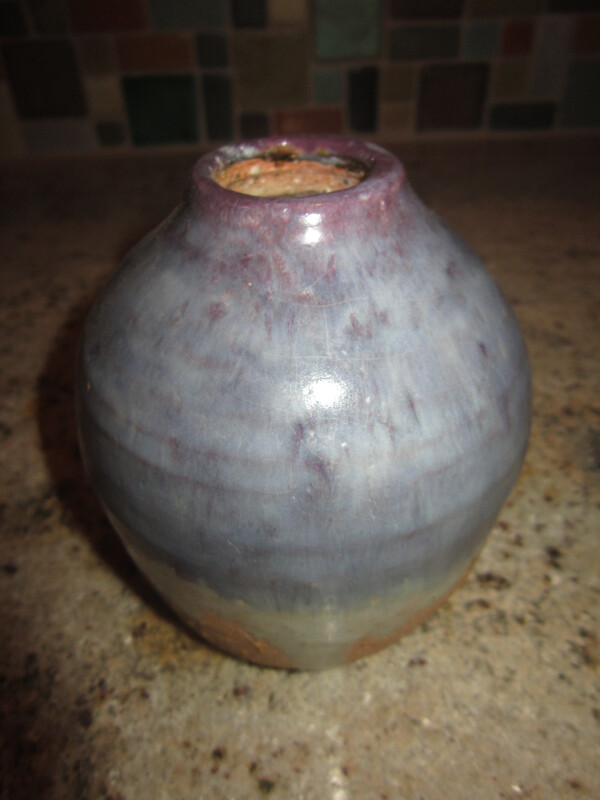 Roger and Leann started me on a lifelong love of pottery and clay as a child. I still love playing ín the mud’ I just have a much fancier oven and tools! Did you know Gladys and Leighla dug their own clay? I have done that but it is quite a process to get it to the stage of creating something from it. Incredible legacies that live on. Suzy, I had no idea that you work with clay! I love that you do and that Miss Gladys inspired you. I also did not know she dug her own clay. And–I’m not sure who Leila was. Would that be Kenneth’s mother or . . . ? Thank you so much for reading and for taking the time to comment. Your statement about incredible legacies is so true.